Can Chiropractic Cause Serious Neck Injuries? Over the past 25 years at the Budincich Chiropractic Clinic, one of the patients' prime concern has always been the fear of receiving a chiropractic adjustment to the neck area. They are always concerned about the safety of the procedure and are many times squeamish when receiving their first few chiropractic adjustments, particularly in the neck area. This article hopefully can dispel some myths about the potential dangers of a chiropractic adjustment and the actual statistics regarding this procedure. According to several research articles generated over the past several years, it was discovered that manipulation was a very safe and effective alternative to other forms of treatment in helping neck pain, headaches, and other problems resulting from a misaligned spine. One study in particular took all manipulation statistics into account, including manipulations performed by osteopaths, medical doctors, physiatrists, as well as chiropractors. It found the incidence of receiving a stroke, or "cerebral vascular accident," from spinal manipulation of the neck had a statistical probability of one chance in 500,000 to 1.5 million. In fact the use of aspirin or other over-the- counter pain medications have a complication rate that is 1,000 times greater than adjustments. Recent research has also shown that for low back pain, headaches, neck pain, and other musculoskeletal complaints, manipulation has a track record of high effectiveness and safety. One report found chiropractic care for whiplash from auto accidents 93% effective. In the U.S. 95% of manipulations are performed by chiropractors. The other 5% are performed by those mentioned previously. In regards to training the chiropractors have the most thorough and extensive training by far. If the statistical analysis was performed looking only at chiropractors performing the adjustments, the safety record is even better. One report in Australia reported 43 incidents of serious injury from "chiropractic neck adjustments." The fact be known in each of these instances the "chiropractic adjustment" was performed by non-chiropractors. Medical doctors, physical therapist, dentist, husband, and even a barber were the provider of the "chiropractic adjustment." Doctors of Chiropractic not only are specifically trained to be experts in providing manipulation but also to determine who is and who isn't a candidate for adjustments or manipulation. Even with the statistic including everyone who performs manipulation, the probability of being seriously injured is the same as being hit by lightning or being bit by a shark. The truth of the matter is statistically chiropractic is one of the safest forms of health care that you can receive from any type of doctor. No one would know this more than the insurance companies that underwrite liability insurance for physicians. As a general rule, a chiropractor's liability insurance, or "malpractice coverage," is 10% of what a medical doctor pays, and it is also less than the many premiums that attorneys, or even accountants pay. According to the National Chiropractic Mutual Insurance Company (The largest chiropractic liability insurance company in the US), most chiropractic liability claim mishaps occur in the doctors physical therapy departments, and not from chiropractic adjustments themselves. Soreness or a slight increase in symptoms is occasionally felt when treatment starts, these quickly disappear and benefits are realized. The next time one of your friends tells you, "I hear chiropractic can really hurt your neck and paralyze you," simply ask them, "where did they hear that or how do you know that?" The chances are they may have heard it from someone who is expressing an opinion that is not based on facts or they are repeating an opinion of someone else who is uninformed. Although chiropractic enjoys great favor in the public eye, at this time, compared to its origins 106 years ago, it still becomes occasionally subject to criticism due to envy, jealousy, and competition. Chiropractic is the most effective, and safest form of treatment for any spinal or nerve related condition. Even if chiropractic does not help you, it most certainly will not cause you any harm, or make the condition worse. Yes, chiropractic is very safe. So safe, that is has the lowest liability insurance rates of all professions serving health care needs. Chiropractic uses no drugs or surgery, and does not pierce the body. It uses the body's own natural abilities, and "innate intelligence," to return normal nerve flow to all parts of the body, thereby establishing equilibrium and homeostasis. 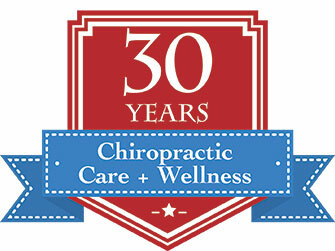 Wellness under chiropractic care requires no surgery, drugs, or unnatural methods. Chiropractic continues to be safe and effective and serves tens of millions of Americans annually.